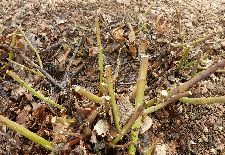 No matter what you call this plant, you will find it a winner in all seasons. 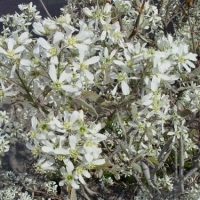 Amelanchier plants can be grown as large shrubs or smaller trees. Nature Hills offers several different selections. 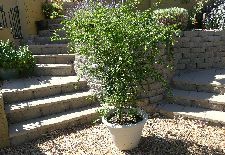 Some are grown as a multiple stem shrub, and others grown as a single stem plant that are to be used in your yard as a small tree. It is basically the same plant, but just grown in a different form. 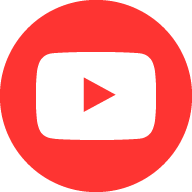 There are many different kinds available and a lot of mix up in the nursery industry, but they all do the same thing … they PERFORM! Early springtime blasts off with clouds of five petaled, fine textured white flowers before the leaves develop.The other wonderful thing is that it blooms prior to the Redbud and Crabapples being that earlier pollinator plant. The flower display rocks. The bees will thank you for the early option. 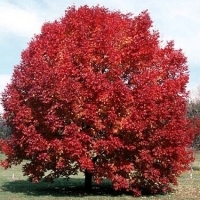 The leaves emerge with a bit of bronze color and age to a two-toned leathery green with a silvery underside.The tough and shiny leaves are smaller and create lighter shade that you have more options to plant beneath if so desired. Fall color will vary depending upon the variety that you have selected, but overall does not disappoint! Autumn Brilliance and Cole’s Select have a dependable and outlandish orange fall color that is very characteristic for those two varieties. Some of the others will offer some yellows, purples and red. 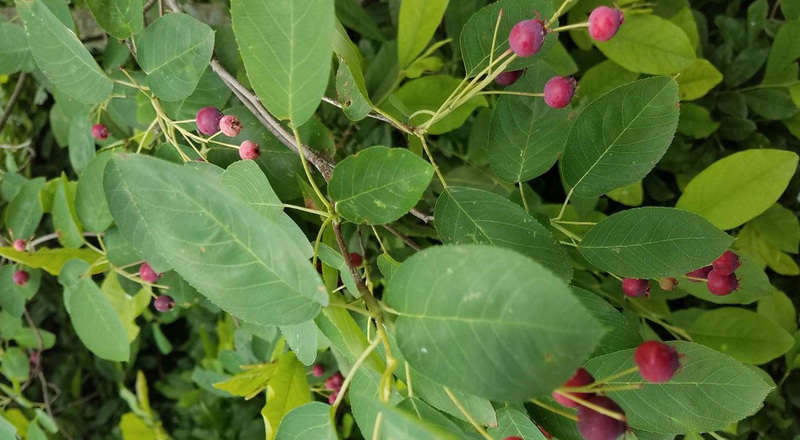 Regent Amelanchier is a stouter growing, suckering shrub that produced loads of the blueberry-like fruits that are high in antioxidants and so good for you. The single stem, tree form Amelanchier are sweet because they are smaller in stature and they can tolerate some shade. 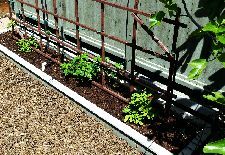 Having some shade tolerance opens the door to many more options in your yard. 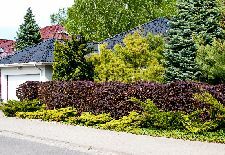 Juneberry plants offer a lot of versatility in the landscape. 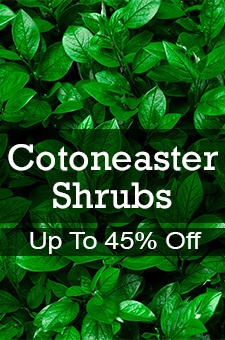 The shrub form selections are killer backdrops for your large shrub borders, outstanding screening plants to block out those nasty views, and let’s not forget the best wildlife attraction in your landscape. Amelanchier belong in the native landscape too. A natural grouping at the prairie’s edge or how about in your woodland garden? If flowers and fall color are not enough…then the fruit will sell you on the plant not only for you to eat, but for the birds and wildlife. 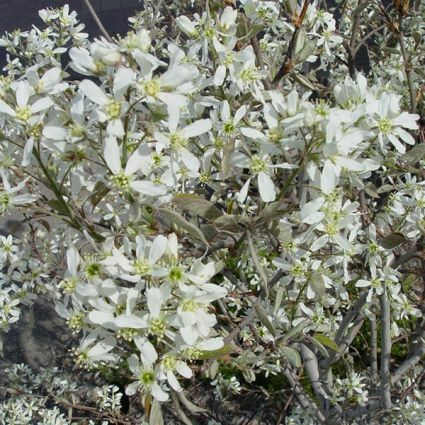 Amelanchier is referred to as Juneberry plants because the fruits ripen in June. It’s almost like having a huge blueberry bush in your yard without all the fuss. Some can get to 20’ or more tall, and 15’ or so wide and will cloak themselves in blue-black fruits that are sweet and highly palatable. 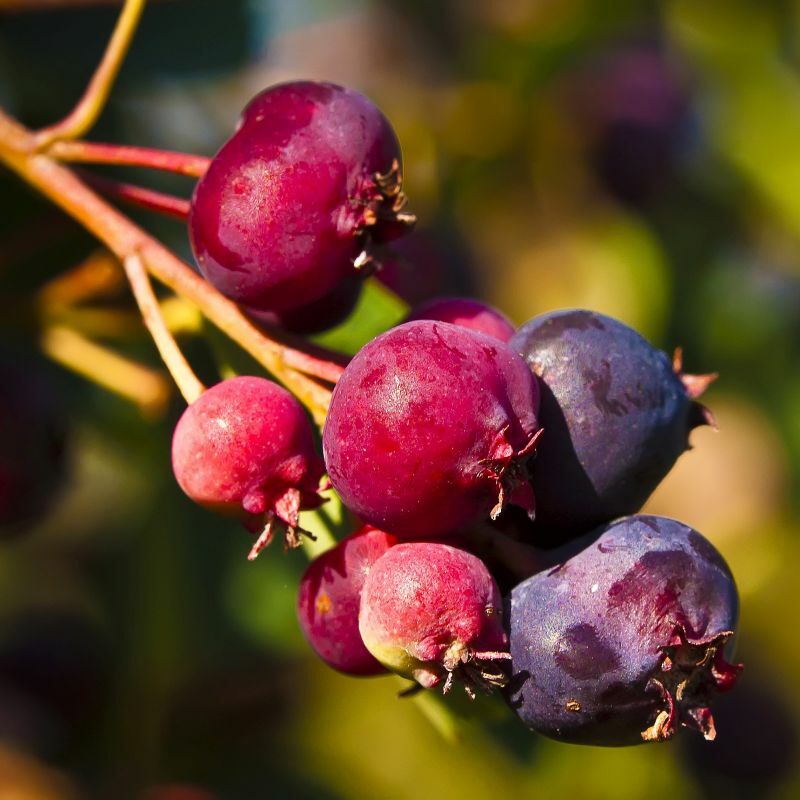 The fruit can be used in pies and preserves, baked in muffins and crumbles, and don’t forget to freeze them for smoothies and other options in the off season. 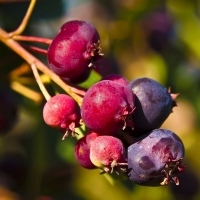 The fruit of Juneberries are excellent mixed with other berries in. As you can see, the fruits do not all ripen at the same time. 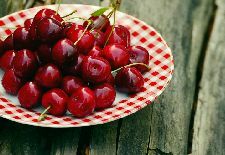 They go from green to pink to red and finally ripe when they are dark blue-purple and sweet. The fruit is actually commercially produced in some areas, but not seen as commonly as blueberries are. The plants are massive bird feeders and while you are out picking them, you will have birds right on the plant competing for the harvest because of that tasty fruit.